As an acupuncturist, I almost shed tears of joy when I first saw Michael Phelps display his cupping marks at the Olympics, and the world started buzzing about it. The moment has come, and this ancient modality that is still widely practiced today is finally getting the attention it deserves. And while cupping is basking in its Olympic glory, it is important that people learn the facts about it from the practitioners of Chinese Medicine. Cupping definitely holds a winning place in my office, and is done on almost all patients. Because of its effectiveness, it is too important to ignore, and once patients experience it, they always ask for it in follow up sessions. Cupping is often cited in wonderment as a practice that is thousands of years old, and therefore must be important because it has been used for that long. I do not subscribe to the idea that when something is old it must therefore be medicinally valuable. I go by the facts, and most importantly by clinical results, and day in and day out cupping has proven that it works. So what is it about cupping that has charmed the hearts (and bodies) of professional athletes and why do my NYC patients insist on getting it too? The procedure of cupping involves placement of heated or non-heated cups on selected areas on the body. Sometimes they are left in one place and in some cases other techniques are used depending on the condition being treated. The invaluable feature of cup placement is the vacuum that it produces, which creates a lifting effect that draws tissues outwards. 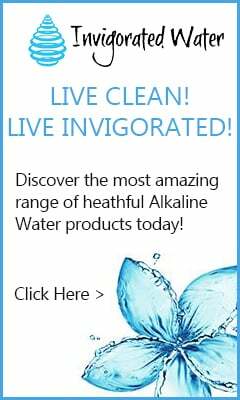 This allows for the flow of blood and fluid; proper hydration; nourishment and oxygenation of the local area. Cupping is great for managing both chronic and acute pain. Old and new injuries, chronic movement patterns, inactivity and surgical procedures cause build up of cellular waste, stagnated lymph, blood and excess fluid, resulting in inflammation within soft tissues. These elements impede proper circulation in the area, leading to stiffness, pain and even chronic health conditions. The vacuum effect of cupping draws the stagnant residue to the surface, where it is cleared away by the lymphatic system. Once the congestion is freed up and healthy circulation is restored, this allows the tissues to properly heal and for the pain to go away. Cupping increases range of motion. Not only does cupping restore healthy muscle tissue due to increased circulation as explained above, but it also facilitates in the release of fascial compartments. This reduces the restrictions and allows for a better glide in the tissues, which leads to an increased range of motion and better movement in the joint. Mobilizing the joint while a cup is attached, is one of the ways that the desired effect is achieved. Swelling often occurs as a result of trauma or a surgery. Tissue stimulation from cupping promotes proper lymphatic drainage and the elimination of excess fluid build-up. Injuries and overtraining cause micro-tearing in soft tissue structures. After the inflammatory process, which is the body’s self-healing mechanism, the tissue repairs itself via formation of scar tissue. All surgical procedures leave scar tissue as well. Scar tissue is often inflexible, creates a lot of adhesions, hyper or hypo-sensitivity, as well as weakness leaving one prone to re-injury. It also impedes in proper lymph and blood circulation. Abdominal scars can irritate organs suspended beneath them in the abdominal cavity. Sliding cupping allows for necessary separation of adhesions and tissue nourishment due to increased blood supply, making it more pliable, mobile and absorbent. As the scar tissue improves in its quality and mobility, a lot of times the sensitivity returns to normal or close to normal. And as an added bonus, the dark, brownish or purple look of old scars often fades to a much lighter tone closer to a natural skin color. 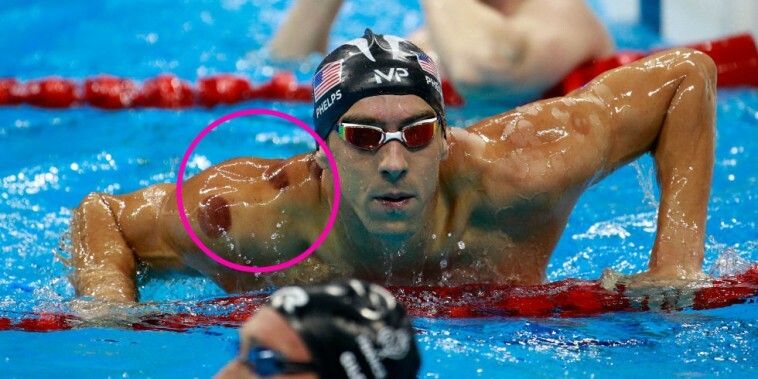 Many people gasped at the look of the dark cupping marks (not bruises) on bodies of the athletes at the Olympics. My, the sacrifices these people make for improved athletic performance! Contrary to expectation, when performed properly cupping is actually completely non-aggressive, feels very pleasant and is calming to the nervous system. It is not uncommon for people to fall asleep during treatment. Because cupping is sedating, this puts the body into a parasympathetic mode, which promotes the healing response and leads to faster recovery. I am a big proponent of therapies that are minimally invasive, have the least side-effects, and the most positive outcomes. Cupping received a lot of attention in the last few days, both positive and negative. But as we know any press is good press. 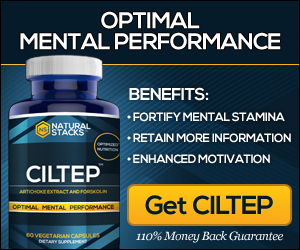 Ignore the skeptics who can only offer opinions and are far removed from clinical reality. No athlete, professional or not, would ever engage in a therapy that he or she felt was not helpful to their performance or recovery. Clinical experience with results matters, opinions without clinical basis do not. If you are suffering from pain or other conditions mentioned above, do yourself a favor and get cupping. Not only might you get better, but you might also be purring like a kitten from the pleasantness of the procedure in the process. Dr. Suzanne Fuchs has a passion for nutrition, health and fitness. She aims to connect the dots between our overall health and the substances that go into our bodies on a daily basis by using only evidence based medicine, science and expert advice. If you have health concerns you should contact your physician for professional advice. Dr. Suz Heals.com has provided sources for information that is not directly provided by our own sources. Dr. Suz Heals.com is intended to be used for educational and information purposes only. Dr. Suz Heals.com and its Editors do not advocate nutritional supplementation over proper medical advice or treatment and this sentiment will never be expressed through pages hosted under Dr. Suz Heals .com. If using any pharmaceuticals or drugs given to you by a doctor or received with a prescription, you must consult with the doctor in question or an equally qualified Health Care Professional prior to using any nutritional supplementation. If undergoing medical therapies, then consult with your respective Therapist or Health Care Professional about possible interactions between your Treatment, any Pharmaceuticals or Drugs being given, and possible nutritional supplements or practices hosted on Dr. Suz Heals.com. Dr. Suz Heals.com does not assume liability for any actions undertaken after visiting these pages, and does not assume liability if one misuses supplements. Dr. Suz Heals.com and its Editors do not ensure that unforeseen side effects will not occur even at the proper dosages, and thereby does not assume liability for any side effects from supplements or practices hosted under the domain of Dr. Suz Heals.com.